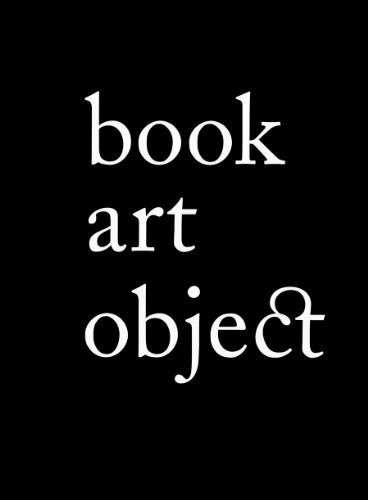 Book Art Object may be the most ambitious and diverse survey of artist's books and the book arts published to date. Across its 400-plus pages of sumptuous color reproductions, it tracks the present state of the art throughout every continent (including Antarctica!) and through every variant of the book arts, from one-off publications to letterpress to artist/poet collaborations to artist's books. Stalwarts of the artist's book circuit such as Brad Freeman and Granary Books are represented here, as well as newer artist's book publishers such as Dobbin Mill, Otis Laboratory Press and Red Trillum Press. Also well represented are small literary presses such as Chax Press, Arion Press, Indulgence Press and Nikodim Publishing. A visual record of the proceedings and exhibitors attending the first biennial Codex International Book Fair and Symposium, Book Art Object collects work by many of the world's most esteemed printers, book artists and artisans into a single satisfying volume.